The EEOC and NLRB continue to actively review severance agreements, in addition to social media policies and employee handbooks. The provisions that draw the most scrutiny are waivers or releases of claims, confidentiality and non-disparagement provisions. Any attempt to interfere with an employee’s right to file an administrative charge, communicate with the agencies, or participate in agency investigations, are troublesome. Remember that while an employee can waive or release an EEOC or NLRA claim, the employee can still file a charge of discrimination or an unfair labor practice charge. You can, however, require that the employee waive any right to individual relief in the event a charge is filed. You should always include appropriate carve out language and the language should not be limited to just the EEOC and NLRB, but should apply to any other federal, state or local agency charged with enforcement of any laws. You should consider using a separate, bold paragraph (omnibus carve out) and then refer to that carve out paragraph in each provision that may restrict the employee’s rights. Do not condition payment of the severance on a withdrawal of a pending agency charge, but instead require the employee to complete and return an appropriate agency withdrawal form and notify the agency of the agreement. Confidentiality and non-disparagement provisions can run afoul of Section 7 and 8 of the National Labor Relations Act (NLRA). The NLRB is concerned with broad provisions that may prohibit employees from discussing the terms and conditions of their employment or saying anything about their employer. Any provision that requires an employee to keep company information confidential should be carefully defined and limited to trade secrets and other non-public proprietary business information and should not be so broad as to cover all company and employee information. 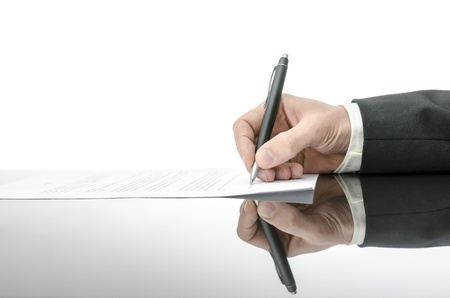 A provision that requires the employee to keep the severance agreement confidential should be limited to disclosure of the severance payment or specific terms, rather than the entire agreement. A non-disparagement provision that applies to statements about an employer should be limited to false statements that are willfully, maliciously or knowingly made. You can still prevent an employee from disparaging customers, suppliers and vendors. You should add a savings provision that nothing in the severance agreement is intended to prohibit the employee from exercising his or her rights under the NLRA. Employers should have their severance agreements reviewed on a regular basis to ensure they are current. This entry was posted in National Labor Relations Act, Severance agreements and tagged confidentiality provision, EEOC, NLRB, non-disparagement provision on October 7, 2015 by smithamundsen.